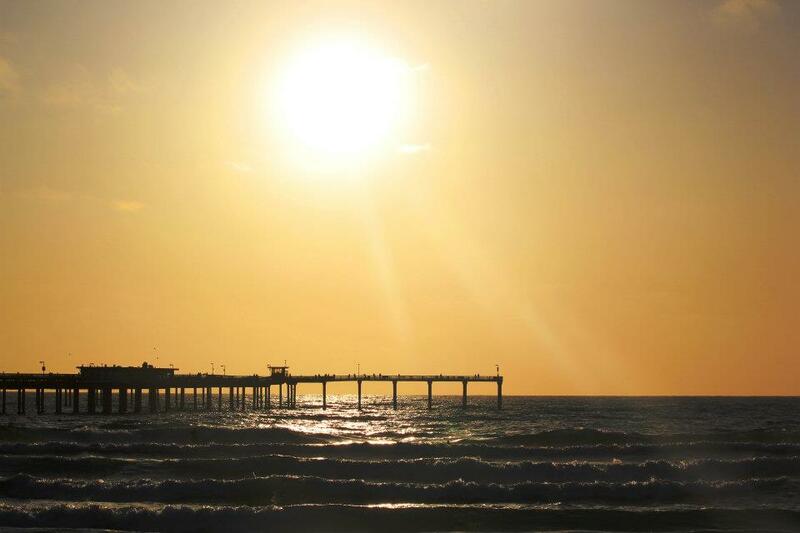 It is somehow fitting for my entry to this week’s photo challenge to post a place called Ocean Beach. Actually, there are some other places in California, perhaps the rests of the globe, with the same name. Only the one in San Diego has cool nicknames, OB or Dog Beach. I don’t have a frame of preference, but OB has its own charm and I’m so glad I took this side trip in San Diego. Before anything else, the benefit of blogging once again ruled in my direction. I found out about OB from Nina’s blog “Wheeling It”, a former featured blog. I wouldn’t even consider coming here if not for that blog entry. Their RV is back on the road again! Perfect time to check out the blog. They already stopped in San Diego, Bakersfield, the ever-magnificent Shasta Lake, and a recent post in Ashland, OR. It was a perfect timing for me too because I got there with the California sun coming down all golden and glorious, even if it was after 7 pm. See that wave. There are plenty of surfing going on in the area. Actually, on the pier are photographers who are also waiting to catch a wave. As Nina coined it, it’s “the only place where that hang-back surfer 60′s vibe is still abundant”. People-watching, sports and other water activities are common to California beaches and tourist spots. This place actually reminds of Venice Beach. 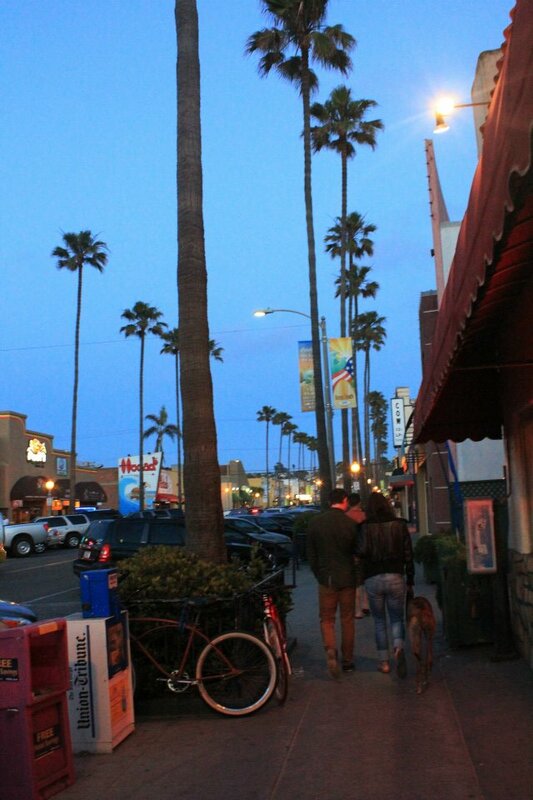 But, OB is less in aspect of commercialism and far more liberating than Venice Beach. On a side of the downtown strip, there were skaters who build their own wooden ramp. I approached them, and they were gladly to show off. 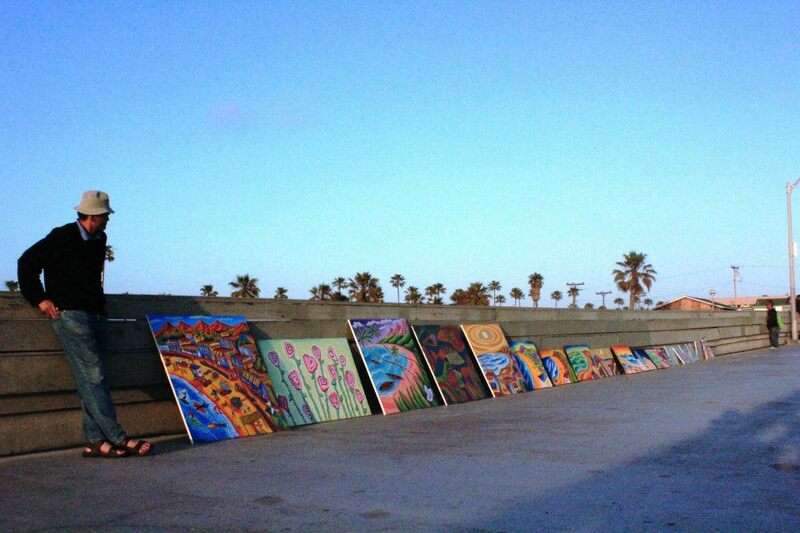 Also, unlike Venice Beach, I get to freely take a picture of the art vendor on the pier. He appreciated that I asked to take a picture of his crafts, and was so nice to allow me to do so. Less crowd, more genuine tranquility, carefee and perhaps, the most welcoming, this small area offers much more. More surfers come here. I saw a lot of people with guitars, and that’s not just the staged regulars of the beach. 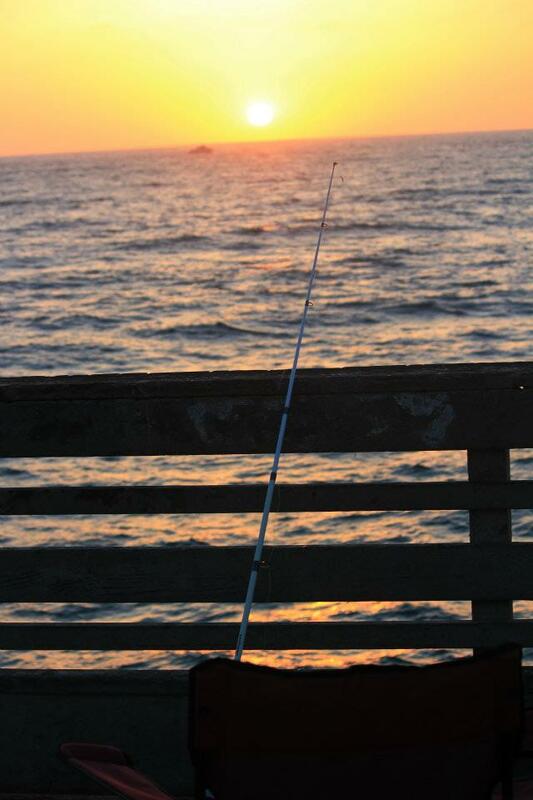 People reel their fish poles on the pier. 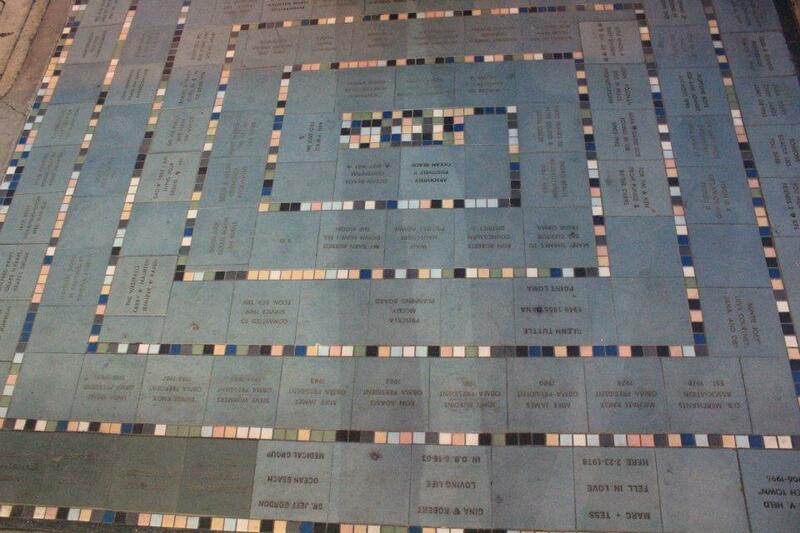 Street arts are obscure. People are gingerly walking through a rocky coast at the very end of the beach. Not to forget, the long-hairs, buffs, hippies, bums and of course, dog-walkers. There’s a guy who makes and sells dog leashes in different colors down the beach. He’d be gladly to show you how he makes it. I apologize for the crookedness of this pic. I saw two of these rectangle framed street arts. There might be more. They didn’t just label the place “Dog Beach” for no reason. There’s still quite few of the beaches in California that don’t even allow pets roaming around, a commemorative plague at the entrance lay claim that it’s the first leash-free dog beach in the United States. Locals and visitors sure are living up that claim. The main strip is great to explore as well. Plenty of colorful shops and inviting restaurants. Tattoo parlor are highly visible with all the overflowing designs. You know how music business in physical form is almost dead, the Cow Shop is almost a miracle. They sell old and new, indies and pop, different formats of music discs. There are couple of music instrument shops in the area as well. 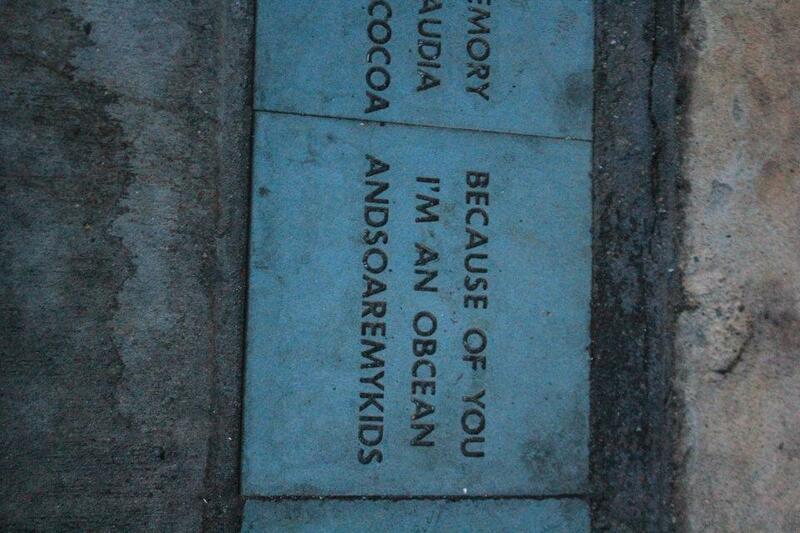 I also spotted these interesting concrete blocks of excerpts exclaiming their visit to OB. There are some downtowns in California where you see these similar bars (see Paso Robles downtown area). I find Ocean Beach the best, which are aligned along the walkway to from the start to the very end of the main strip, both sides. Check out this hilarious, triumphant post with her husband, Brendon as a guest writer, be careful what you asked for, you might just get it. I won’t spill any beans, just go ahead and have a laugh to this exciting post. desi becomes eclectic speaks highly of Bali, surfs a lot and provides great great photographies of their travel. I suggest to do the same thing I did. 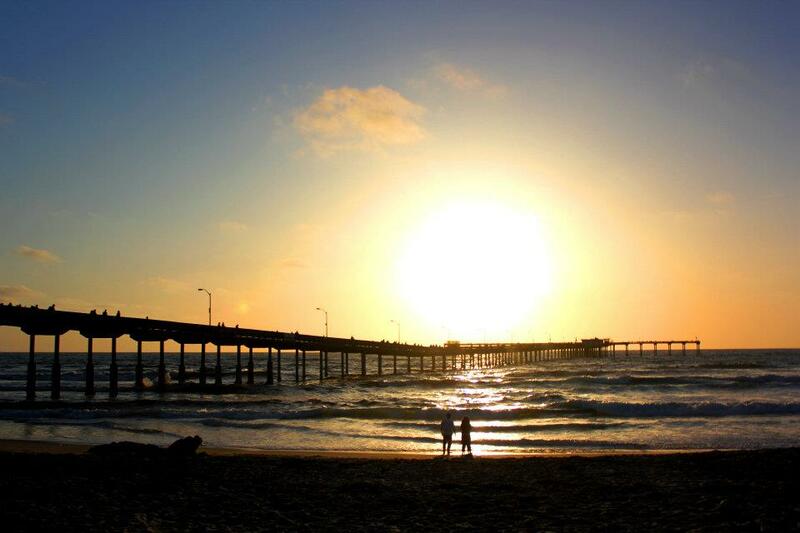 After hustling and bustling with the crowd in the city side of San Diego during, get away from it all by heading to Ocean Beach while making sure to catch the sunset to view it at it finest. It was indeed a very pleasant side trip. Hey, I know this place! 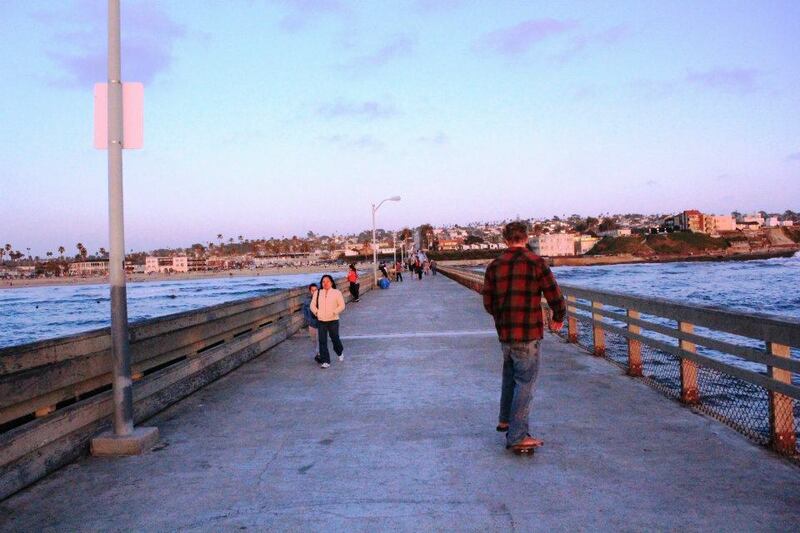 😉 I think this pier if my favorite of them all in San Diego because it’s so long! Gives you such good views of all the surfers! Nice photos! 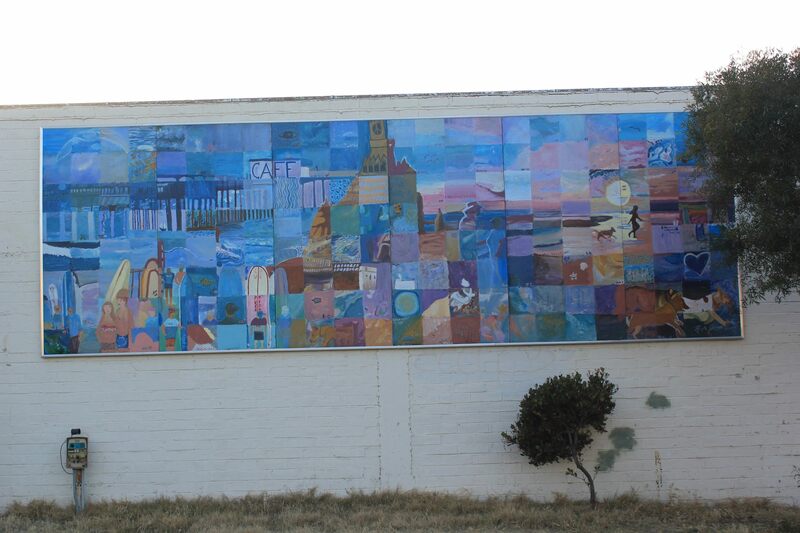 As a wee bairn I lived in Ocean Beach and unfortunately only remember the Public Library and the Sunset Cliffs. 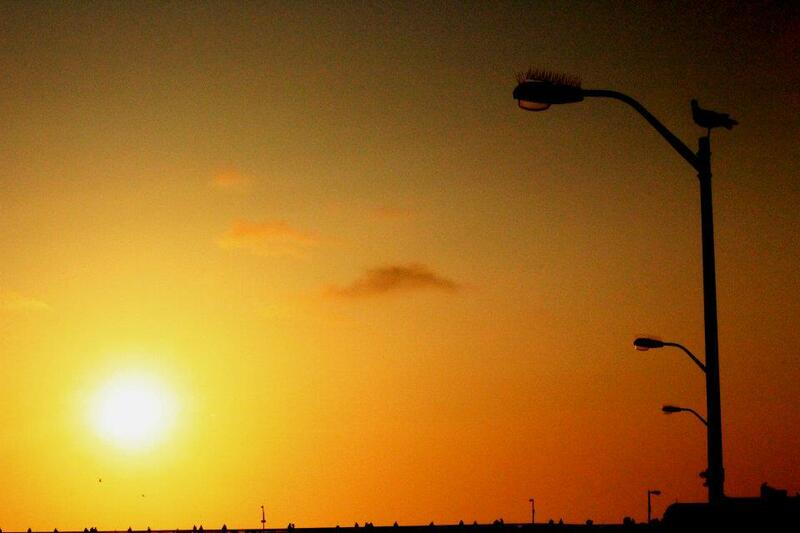 But in High School, especially after getting my driver’s license, I spent most of my free time surfing at OB. I visited this last summer and was a tad dismayed at the “improvements” to the town and the beach. In the old days there was no parking: we parked on sand at the end of Saratoga and surfed in a fundamentally uncontrolled beach area designated for surf boards just off the jetty. Also there was no pier (and there was no bridge to Coronado). I think hamburgers then were 21 cents at Jack-in-the-Box but this time I had a Double Bacon Cheeseburger at Hodad’s … it was finest-kind and cured my hamburger craving for several months. Oh hey hi. I’m sorry for a very late reply. There’s actually a sign on the beach that reads Surfers Area which I thought was not usual to other beach. I know, right? I hate parking in California. One time, I stuffed my bills to one of those parking machines but it didn’t provide me parking receipt to show on my dashboard. I get so confuse on the parking times on the side of the road. Hehe. It’s so tricky to park. Why can’t they just allow people to park anywhere? Hehehe. Actually, it’s like that here in Ventura beaches. So much to see, I love the street art! True dat! And not just the place, but people as well. They are unexpectedly approachable. i like the best second photo, very art. Thanks for commenting and liking my blog! I owe this awesome pictures from you and your blog. 😀 Glad I gave it justice. I love songs and movies associated with California. It’s always lovely kind. Hi Rommel, funny this post is about OB — one of my fave surfboard shapers, Donald Takayama, is located there! I love going down to SD County, it’s always so festive and has a great feel to it. Thanks for the mention, BTW! Bali has been treating us well — Cheers! It does have that unfathomable unique and welcoming atmosphere. Let’s trade places, even just for a week. Hehe. Whaddayatink? Wouldn’t it be nice to trade places here and there, and experience life from others perspectives. 🙂 Life really would be a trip, then. Ooh, lovely pictures! Absolutely perfect for ‘Summer’! Actually near California beaches esp. 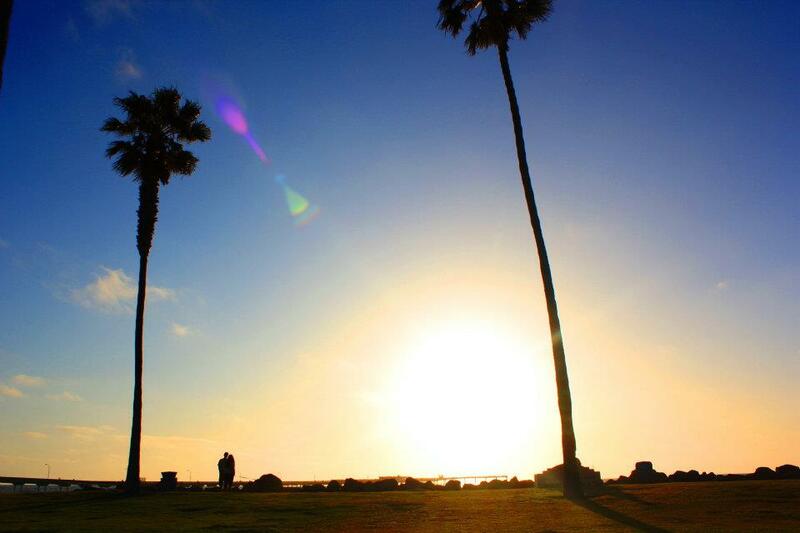 in Ventura, the breeze can get cold that “Summer” just means it’s not as cold as winter. Love the third photo. The series of rolling waves occupying the foreground greatly increased the image’s impact. Well done. Love it as well. And the second. Thanks Shuter Bug for commenting on my blog and complimenting my picture. For such a great photo blog that you have, it’s a lot to get a praise from you. 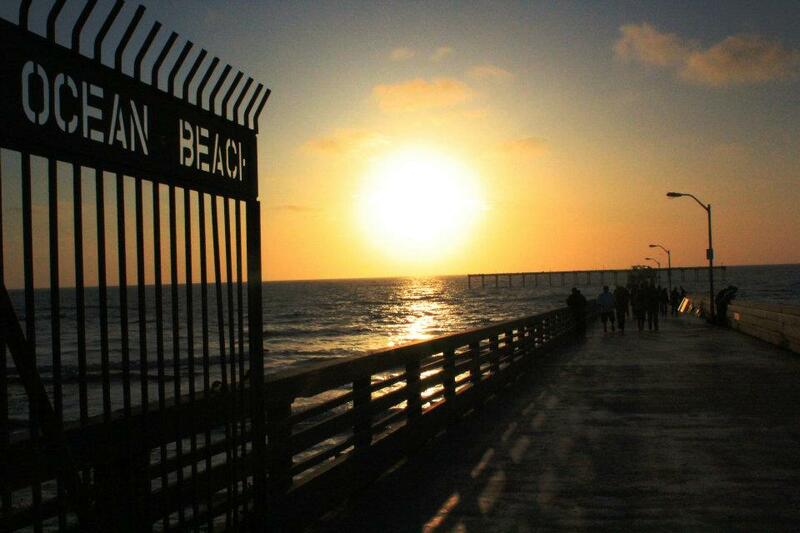 Fantastic pictures of Ocean Beach ~ I love all of the sunset shots. Weee! Glad you made it to my blog. High Five for California travel sites. I keep coming back on this post to look at the pictures myself. It’s becoming a personal favorite post. These images are so refreshing…I have not been to the ocean in years. Thank you! Thanks for coming by. And, may I say …. GO HIT THE BEACH … any beach! Breathtaking from the Sun’s amazing glow, to the soothing waters, to the exciting surf activities, and the colorful Art by the bay. You are so lucky to be so close to it. Thanks for sharing. Thanks IT for always bringing something to my post. A visit from is always a great pleasure. Loved this post! 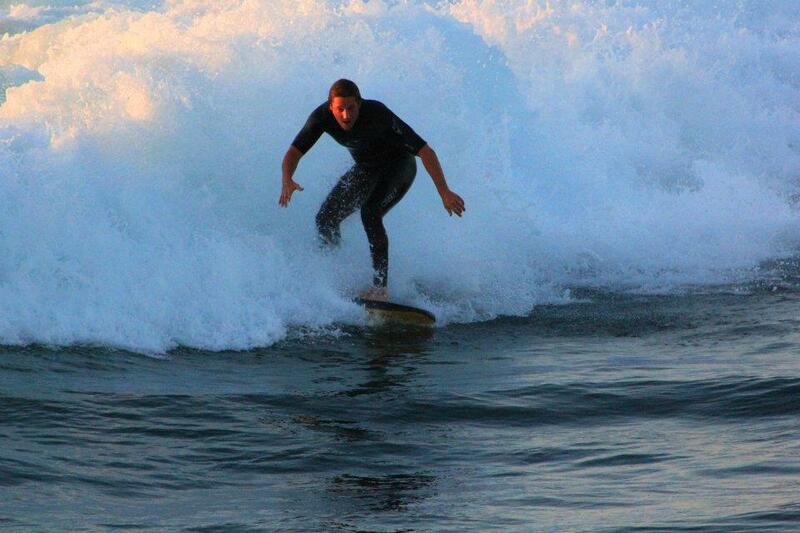 I lived in San Diego for a while and nothing beats a surf session in OB. Great photos, might need to make a trip south soon! Weee! I can see how popular of a surfing spot OB is. There were a good number of them when I was there. 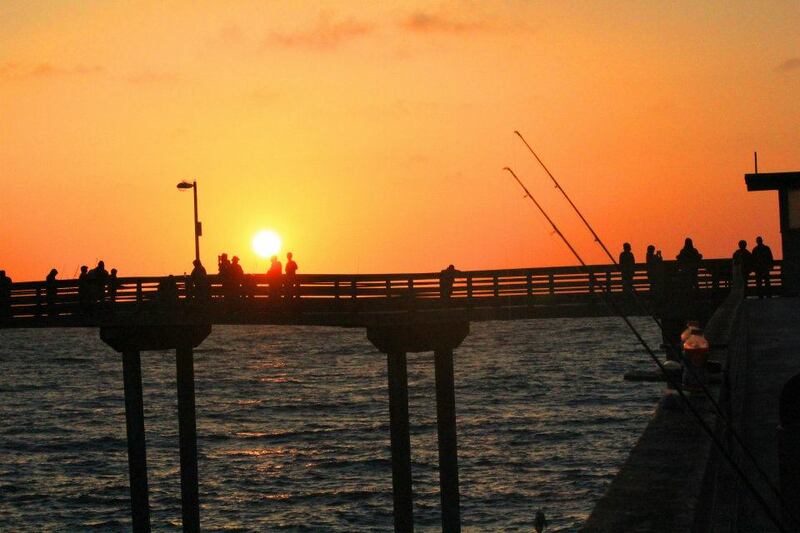 Fabulous photos… makes me want to jump in my car and drive down to San Diego right now! Hi Rommel! Thank you for the follow on my blog. And congratulations for being Freshly Pressed – awesome. These are great pictures of OB. Love the golden sunsets. 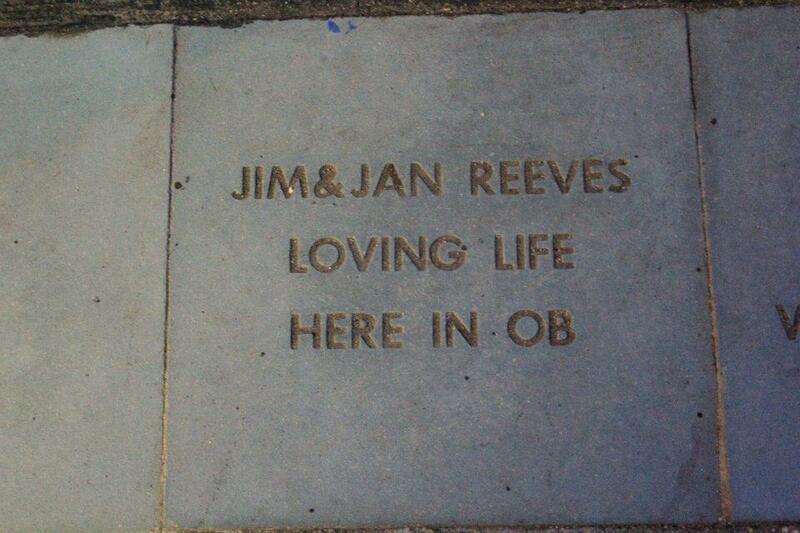 I have a lot of history with OB – it’s the beach my dad always took us to when we were kids. It’s where I fell in love with the ocean. Your pictures evoke some great memories. Well I’m very glad this post did something for you. I wouldn’t mind residing somewhere close to a beach like OB. Hey, thanks for liking my post on the Olympics in Advertising. I was perusing your blog and it’s such a coincidence that you blogged about San Diego beaches, because I just got back from San Diego last week! I never made it to Ocean Beach, but we went to Mission Beach. Did you make it to Lo Jolla while you were there? I didn’t, but really wanted to, I heard it was amazing! I have three posts … Seals in La Jolla, Birds in La Jolla and La Jolla, the location. I also have Birch Aquarium which is in La Jolla. Okay, having the exact same opening photo – well dang! How awesome is that?!? And I think that is the same surfer. 🙂 LOVE this beach and I love your photos of it too.